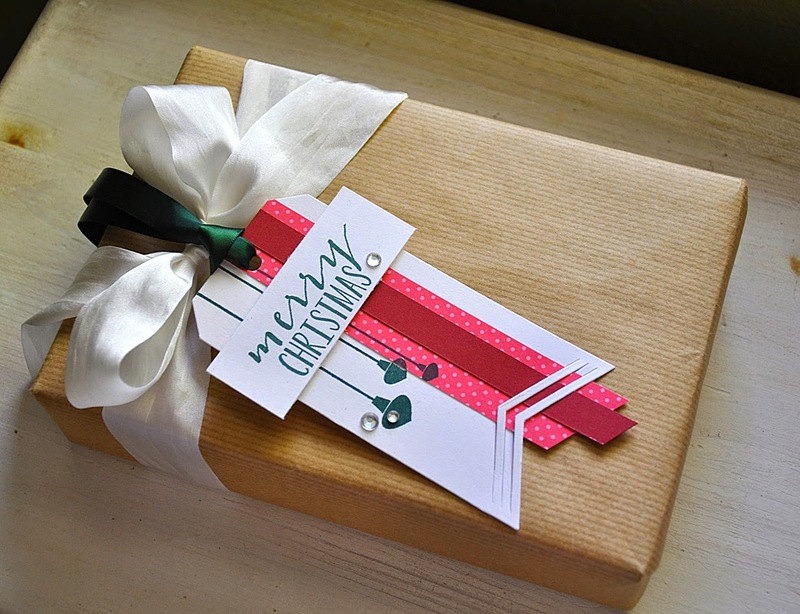 Santa's Sleigh and Keep It Simple: Season's Greetings by Nichole Heady. 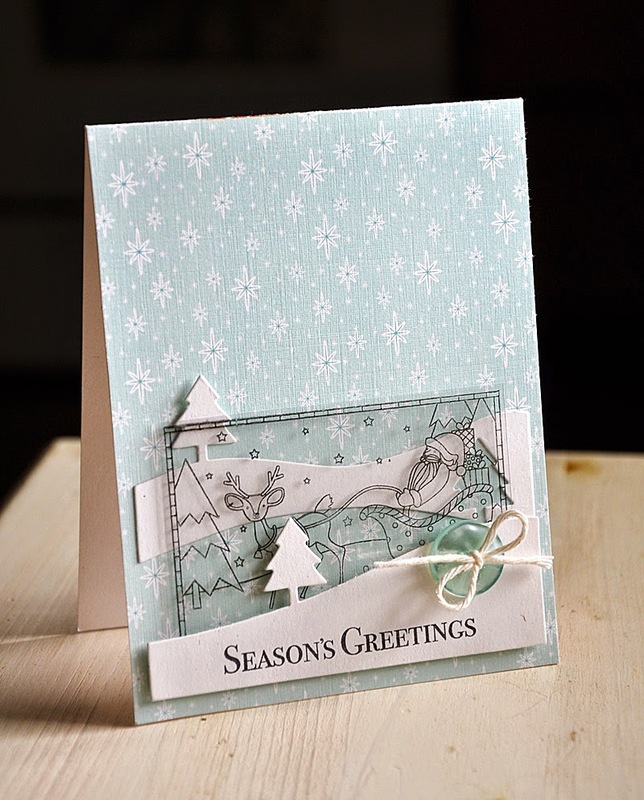 Played around with a little bit of clear cardstock to nestle the sleigh between snow drifts, which were die cut using the Snow Drift die collection. Phrase Play #8 by Nichole Heady. 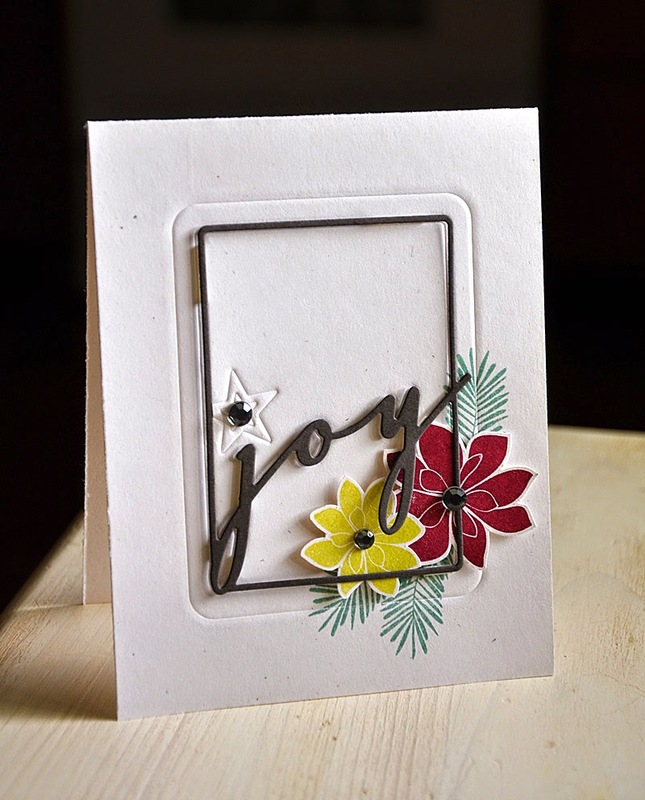 Paired with poinsettias from the Bells and Boughs stamp set. Wet Paint Holiday by Nichole Heady. 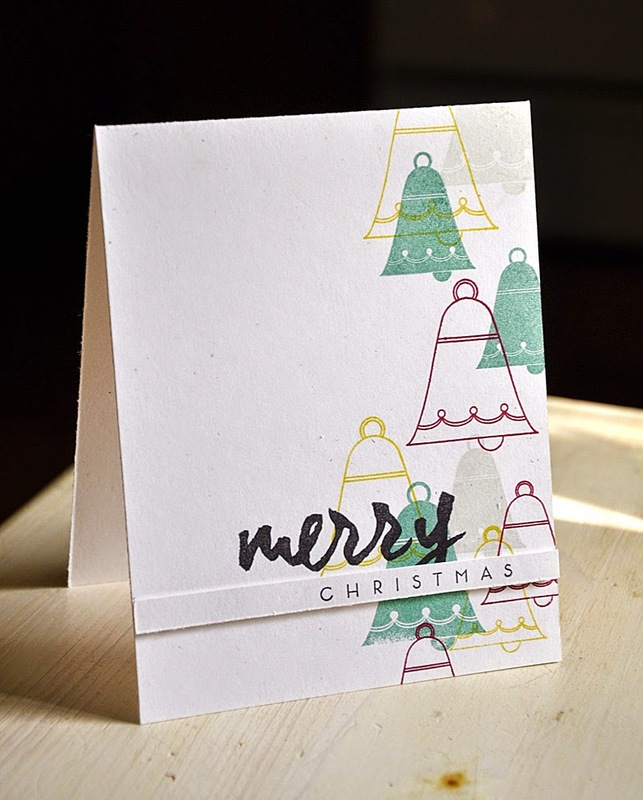 Paired with bells from the Bells and Boughs stamp set. 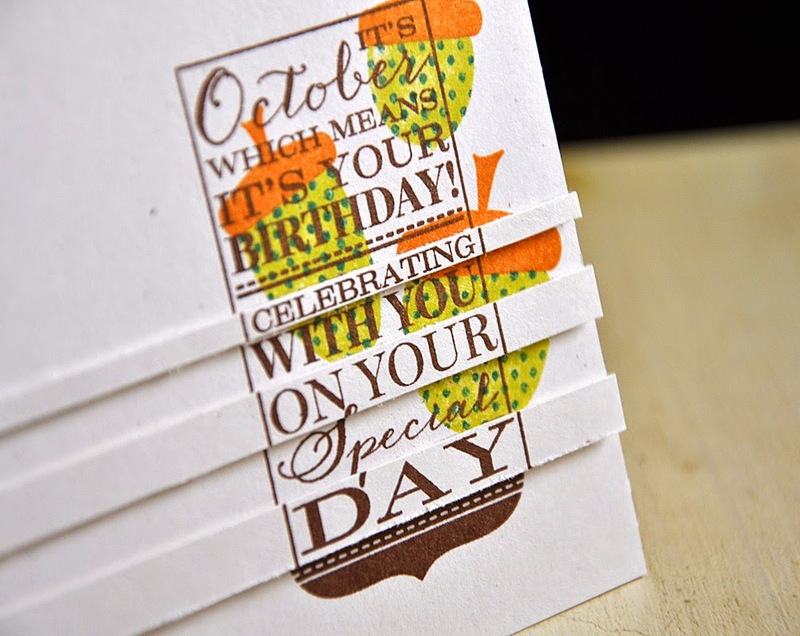 Birthday Classics: October by Dawn McVey. 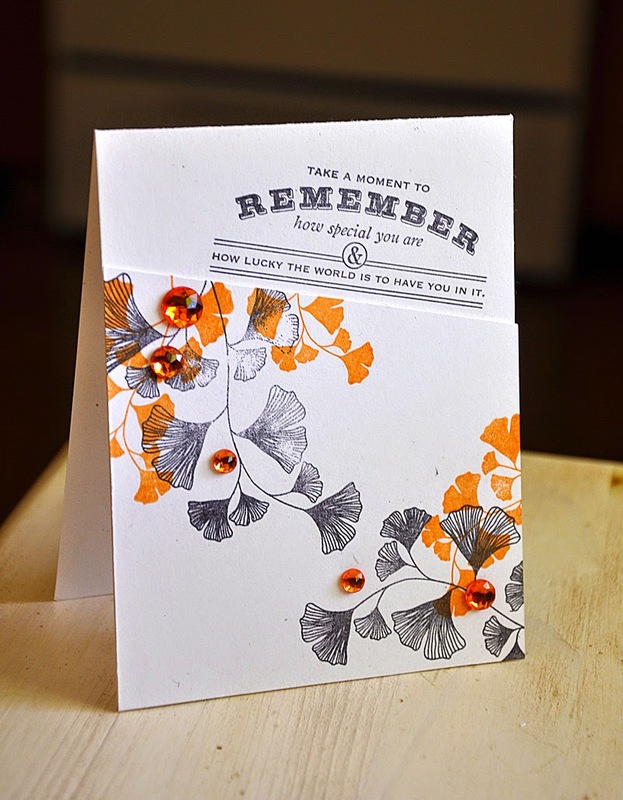 Paired with Autumn Acorns stamp set. The acorns were inked using the Kissing technique, the polka dots are from Polka Dot Basics II and were inked with pinefeather. Welcome to the final day of the Papertrey Ink September countdown. 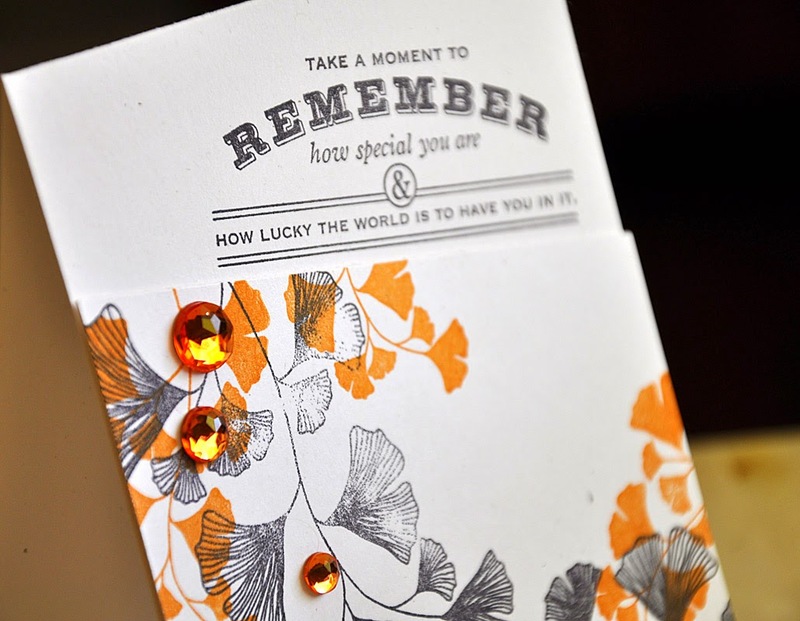 Up first a card using one of the sentiments included in the featured stamp set, Book Club. I paired this congratulatory sentiment with a single butterfly image from the previously released Beautiful Butterflies stamp set. 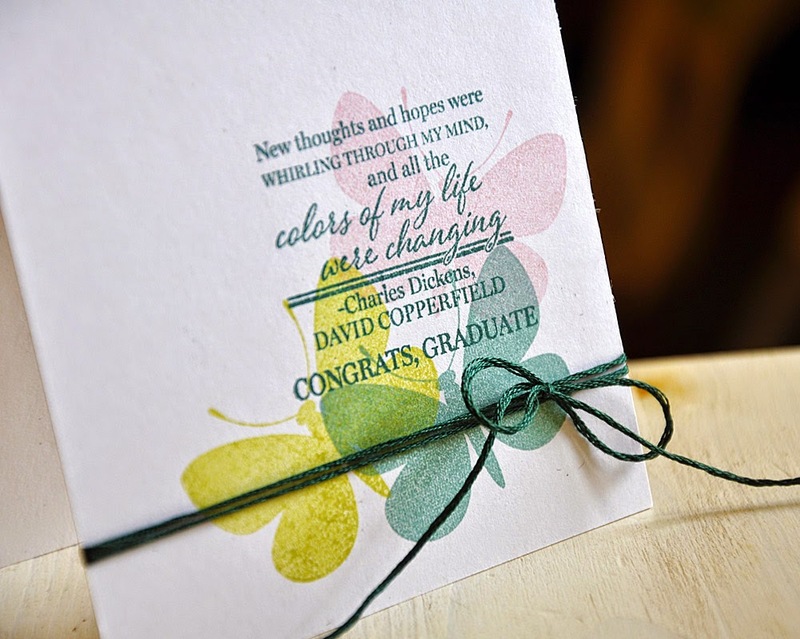 Stamped it three times in a color combo of sweet blush, limeade ice and ocean tides. 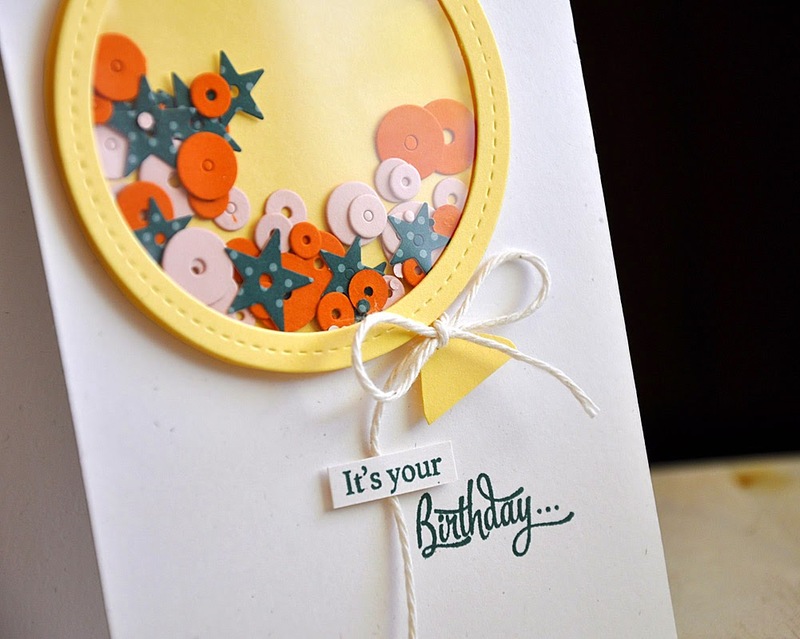 The sentiment was stamped in pinefeather and the card was tied with matching embroidery floss. 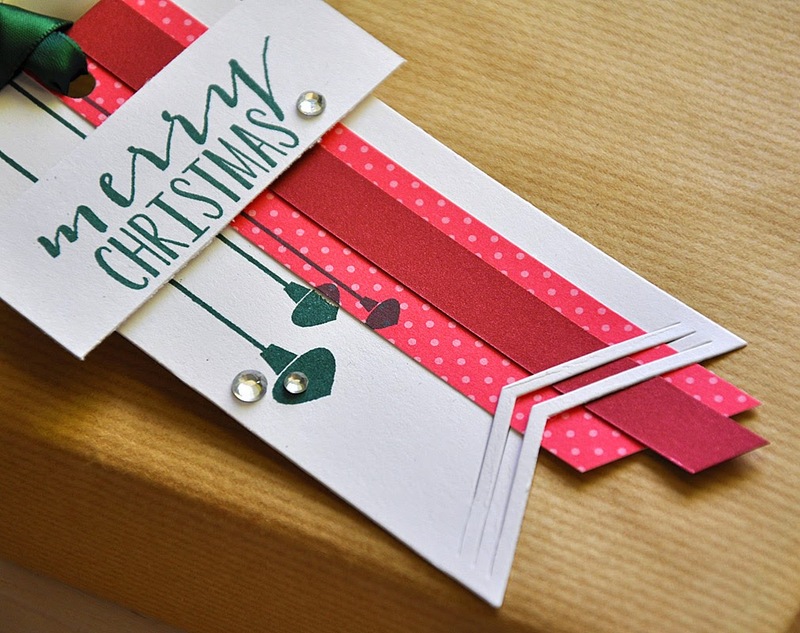 Here's a beautifully simple bookmark, made using the new Basic Bookmark #1 die. 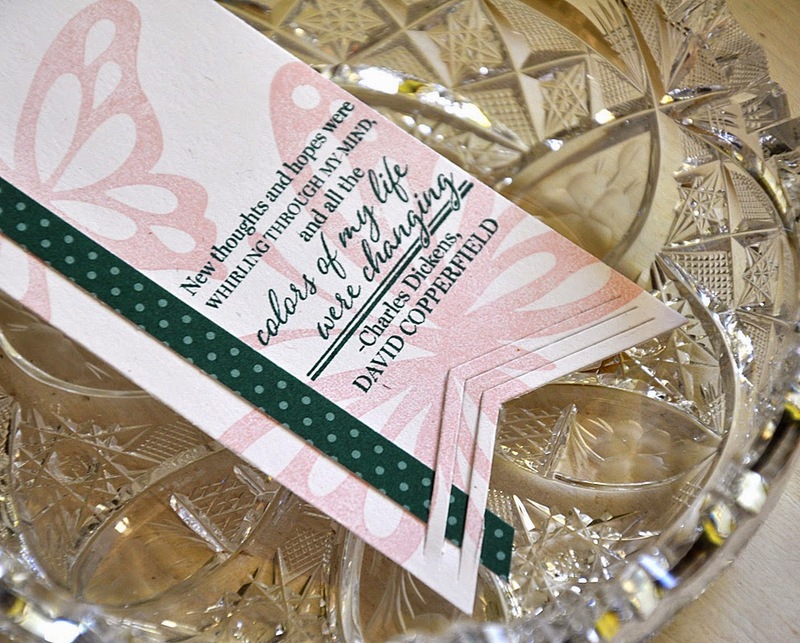 Used the same sentiment as the card above, but this time I paired it with butterflies from the Life is Beautiful. Color combo here... sweet blush and pinefeather. 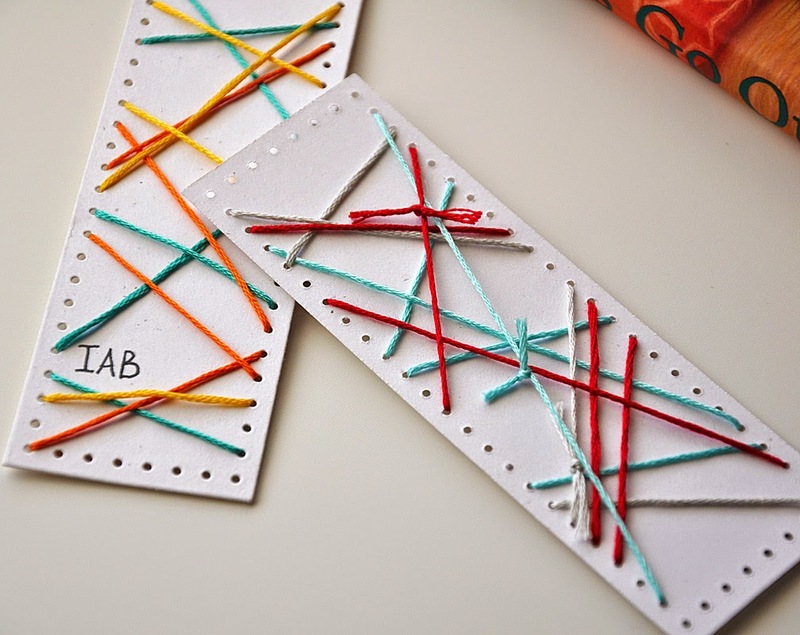 Up next, I used the same Basic Bookmark #1 die but this time as a tag. I've paired it with ornaments from Holiday Cheer and a sentiment from 'Tis the Season Sentiments set. My son has entered second grade this year. My, how time flies! 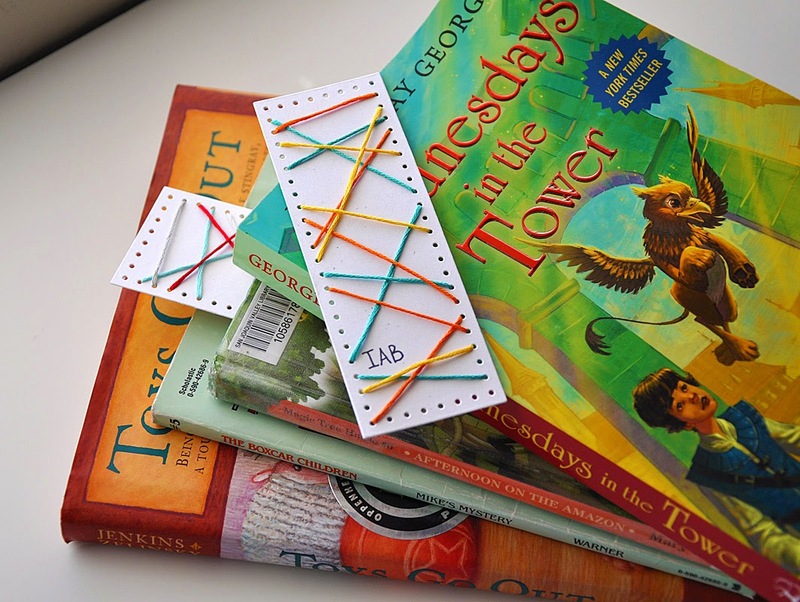 He has also become quite the avid reader over the summer, and for this reason I was excited to put these Stitched Bookmarke dies to use. My idea for these dies was to create a simple yet cool book marker, one that my son would enjoy. Personalized with his initials, written by hand. He is so into marking everything with his own initials. 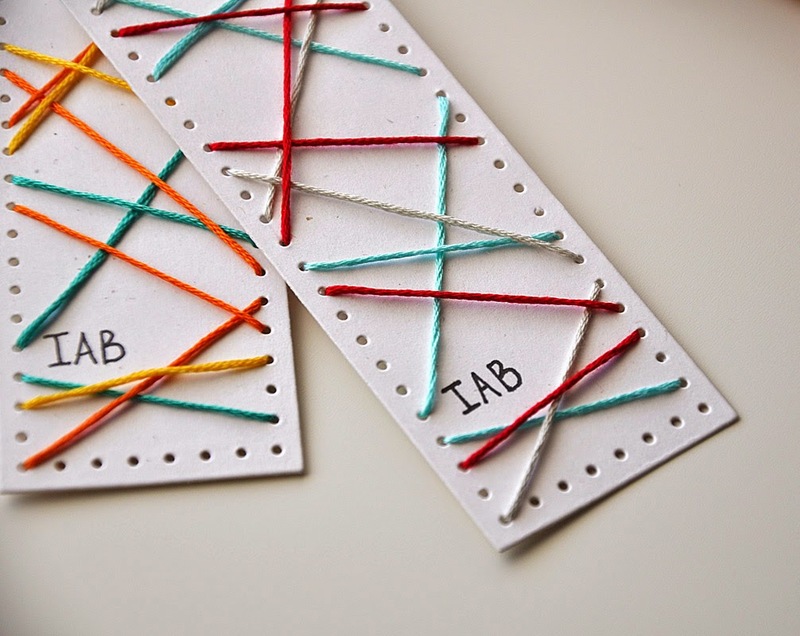 Here's How: I simply made my color selection of embriodery floss and stitched way, wrapping around and around the bookmark, through the holes and tied the ends together on the backside. The backside almost looks as cool as the front. My son love these! Especially the pure poppy, aqua mist and soft stone combo, it matches his room. Well, that's all I've got for you today. Just remember... everything you've seen peek of today will be available for purchase through Papertrey Ink, beginning September 15th. 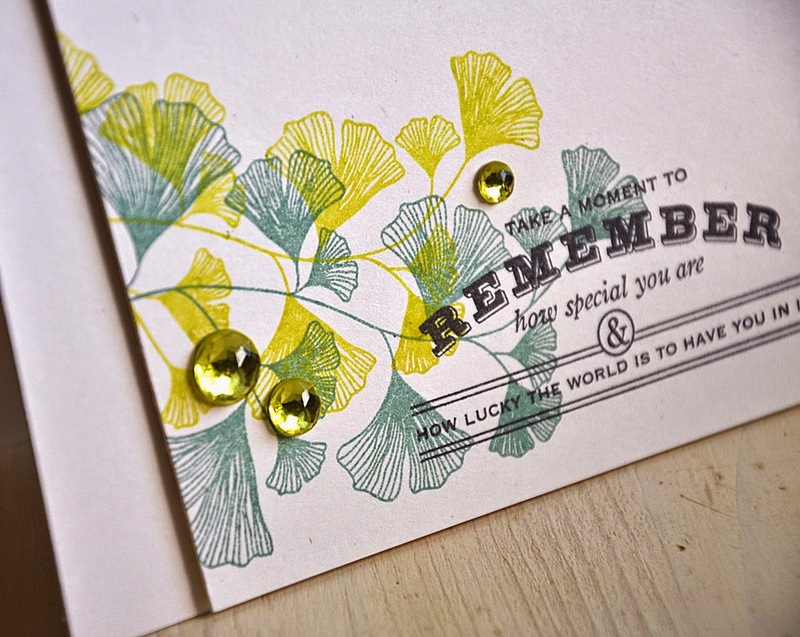 Hello and welcome to the fourth day of the Papertrey Ink September countdown! 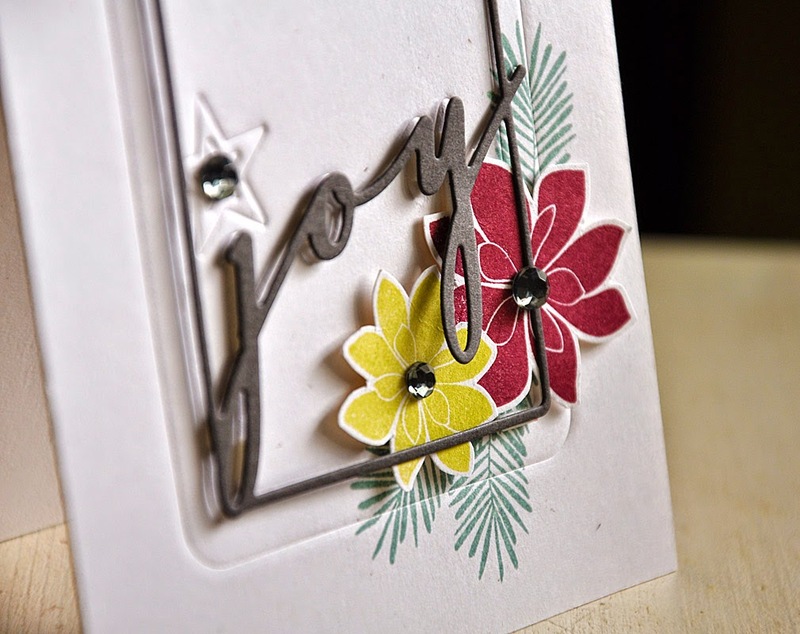 Today's group post is all about the new Sparkle & Shine and Shaker Shapes dies. As a follow-up to her popular Shakers & Sprinkles set, Betsy has designed a new set that features lots of sparkle and shine! With tons of sentiment options and looks to achieve, you will never get bored using this set! 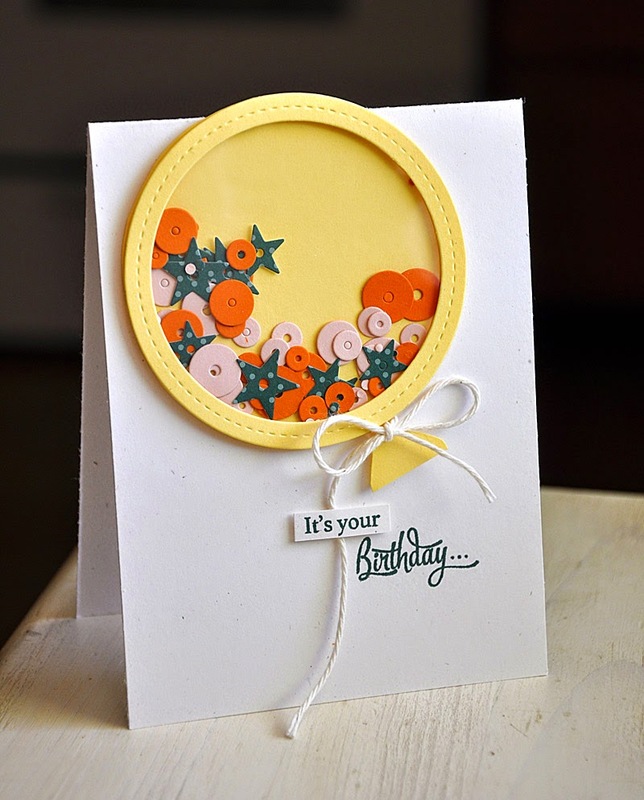 The coordinating word and sequin dies are sure to be a hit as well! What an extremely fun collection of goodies! These bits and pieces have almost unlimited capabilities. I had a blast working with only a few of the many ideas that had come to mind when brainstorming the possibilities. 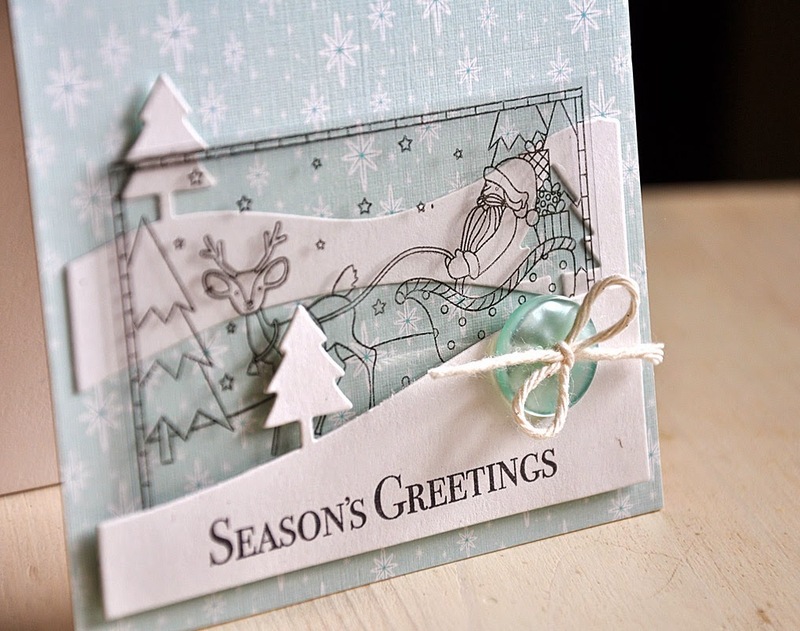 First up, a holiday card featuring a non-shaker use for the dies and stamp set. 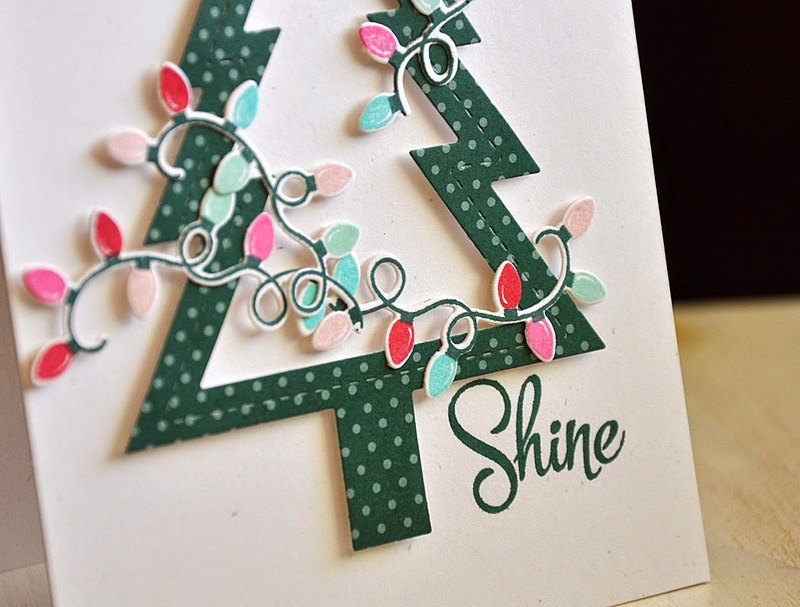 I die cut the Christmas tree from pinefeather pattern paper. I have a new found love for this color! 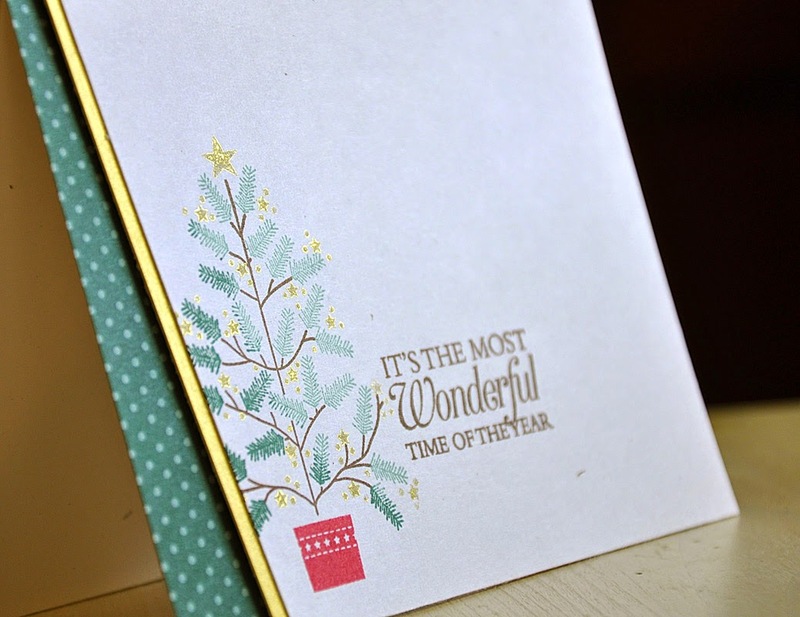 Pinefeather is such a traditional holiday color and I'm having fun pairing it with other colors to create great (and new to me) color combos, perfect for Christmas or any time of the year. The Shaker Shapes: Circle die is perfect for creating balloon shakers! The addition of a hand trimmed balloon end, tied with twine, is really all you need to turn the circle into a fun new shape. This non-holiday version features a great color combo of pinefeather, lemon tart, orange zest and sweet blush. And a little peek at the inside. 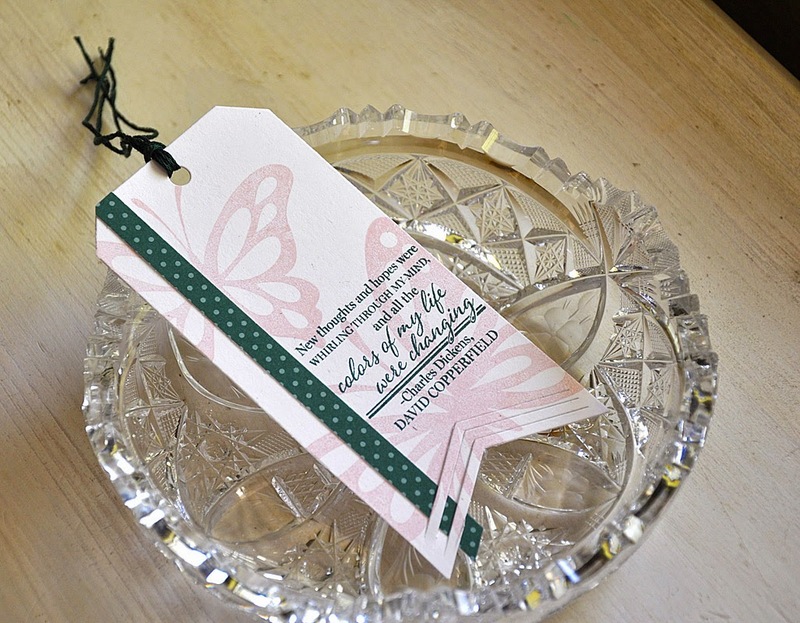 This pinefeather is such a deep and beautiful color, it's a great option for sentiments. Well, that concludes my look at Sparkle & Shine and Shaker Shapes dies. Just remember... these products will be available for purchase through Papertrey Ink, beginning September 15th. Hi there! 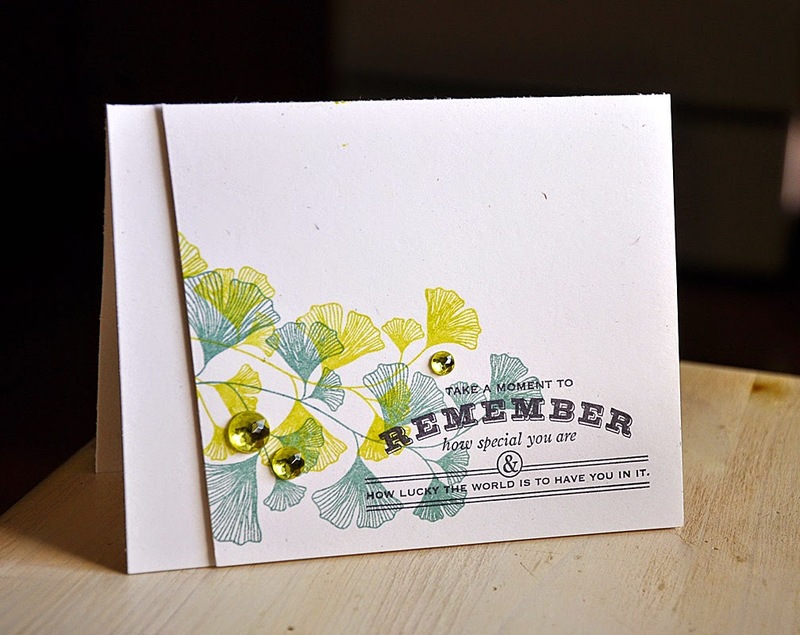 Welcome to day three of the September Papertrey Ink countdown. I'm joining the design team today in sharing sneak peeks of the new Monthly Moments: September. This month's Monthly Moments collection is just fabulous! The stamp set has so many cute images and phrases, perfect for school and all things fall. 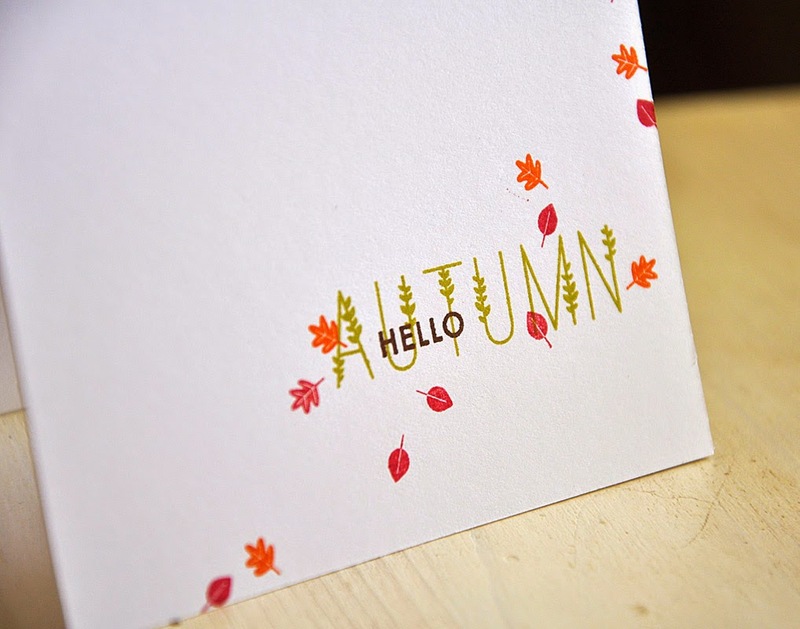 I kept thing super simple, creating a autumn themed one-layer card. 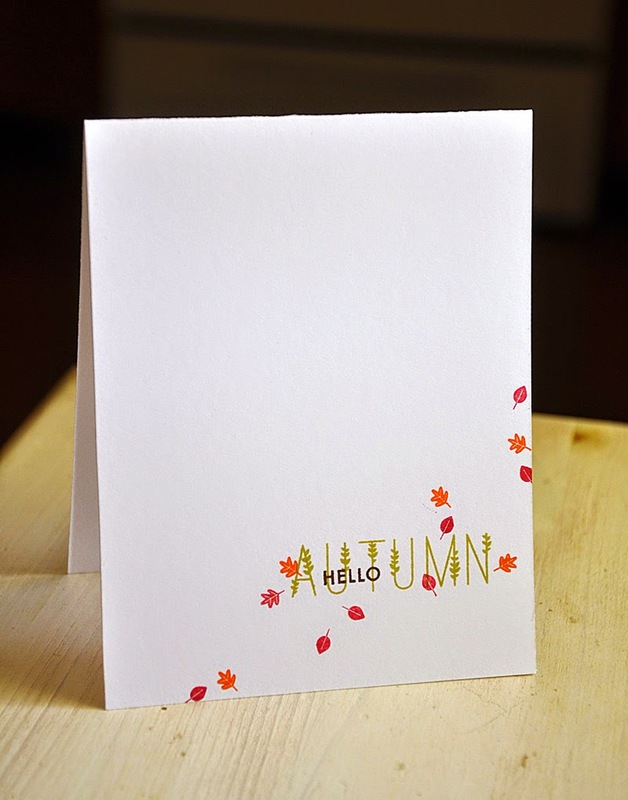 I let this lovely "Autumn" sentiment take center stage and used the tiny leaves to draw your eye right to it. Well, that concludes today's look at Monthly Moments: September. 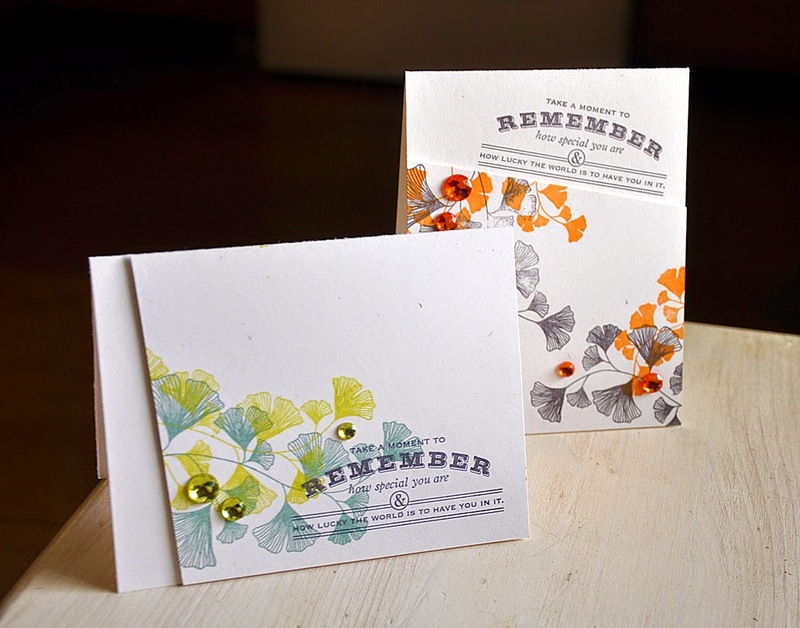 Just remember... this set will be available for purchase through Papertrey Ink, beginning September 15th. Hi there! 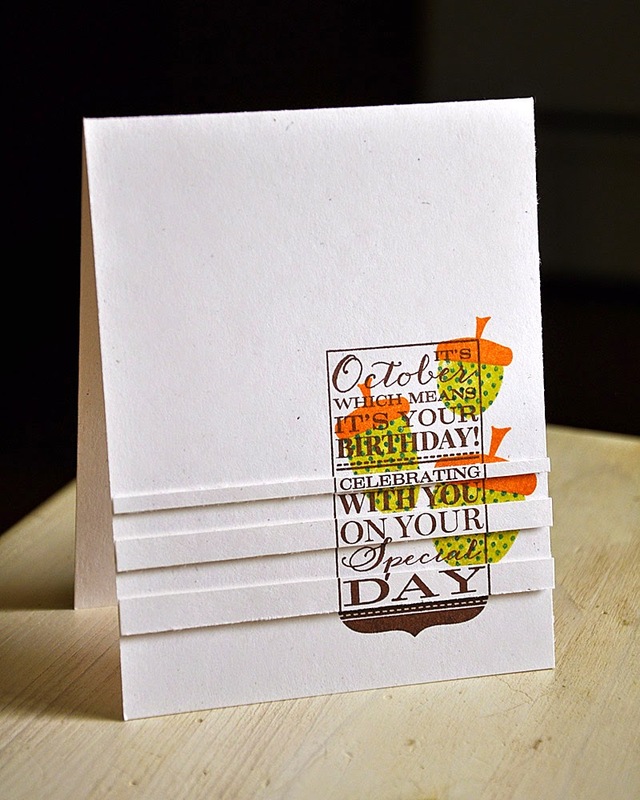 Welcome to day two of the September Papertrey Ink countdown. I'm here today to share a few samples using one of this months new stamp sets... O'Tannenbaum. 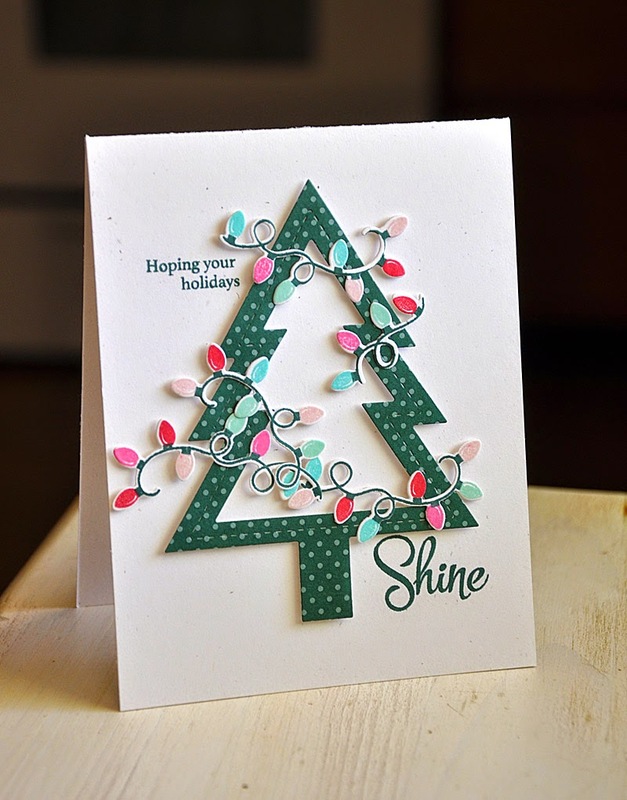 This collection of multi-step holiday trees gives you tons of options for Christmas and winter projects! This set allows you to add color and detail quickly and efficiently, especially when mass producing. 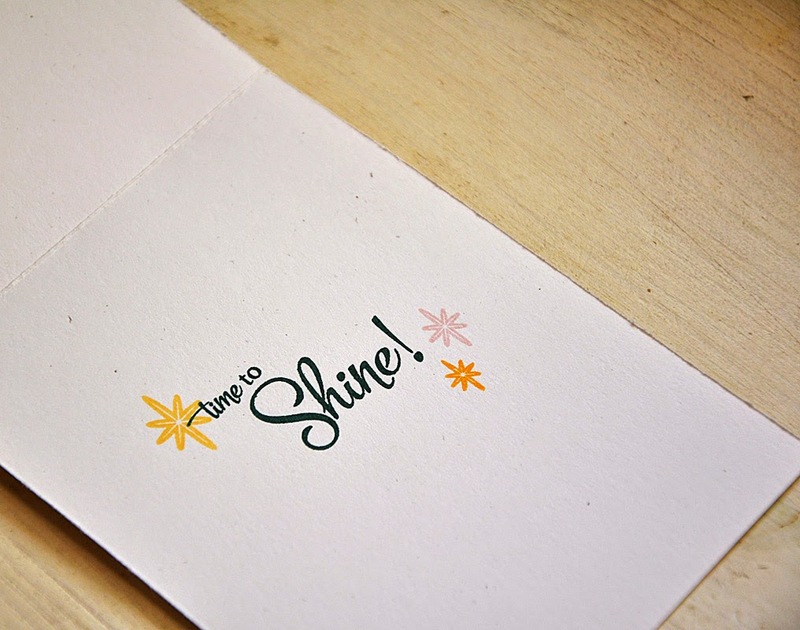 Pair them up with this great handwritten font and everything will come together perfectly! Keep in mind that these items will be available for purchase beginning September 15th at Papertrey Ink. 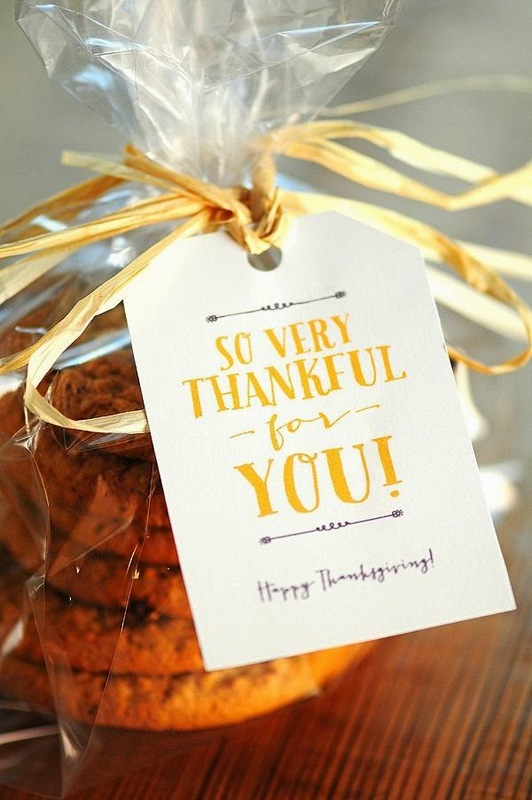 Plus, more info and a detail look at these items can be found on Nichole Heady blog today. This first card sets the color theme of my cards today... a combo of ocean tides, pinefeather, gold and rustic white. A rustic yet traditional color scheme, which I've paired with a few modern touches and layouts. 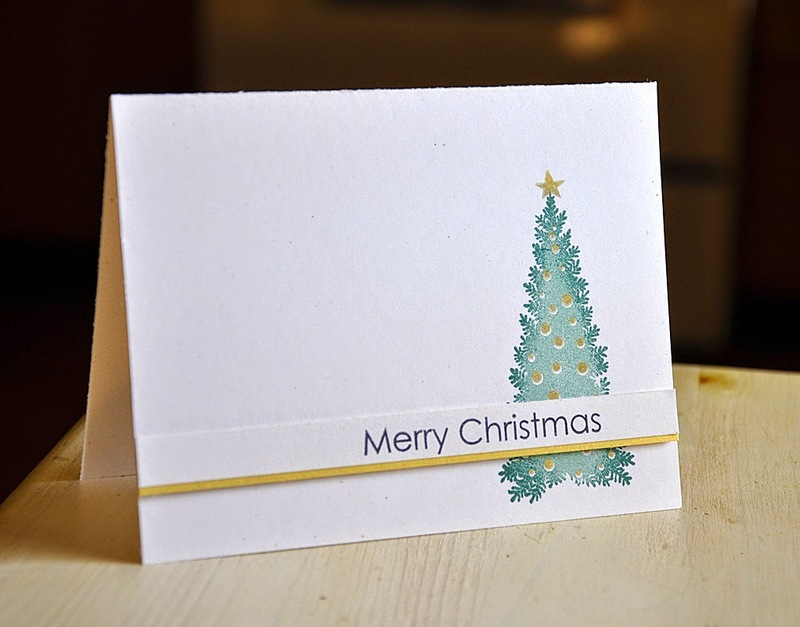 To give this simple card a bit of interest I stamped the tree base image using the Rock-n-Roll stamping technique. The gold touches spiff it up a bit. 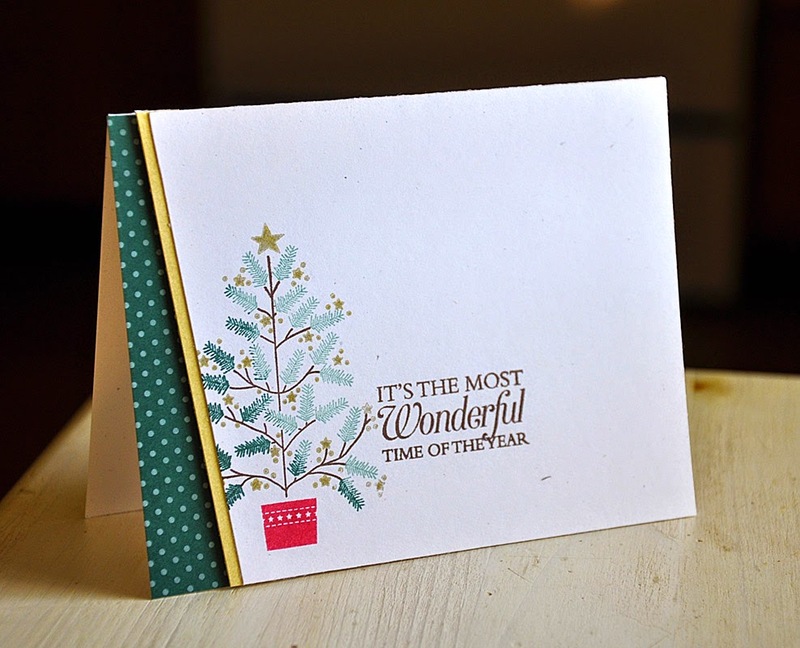 This sentiment is from the soon to be released Keep It Simple: Christmas. 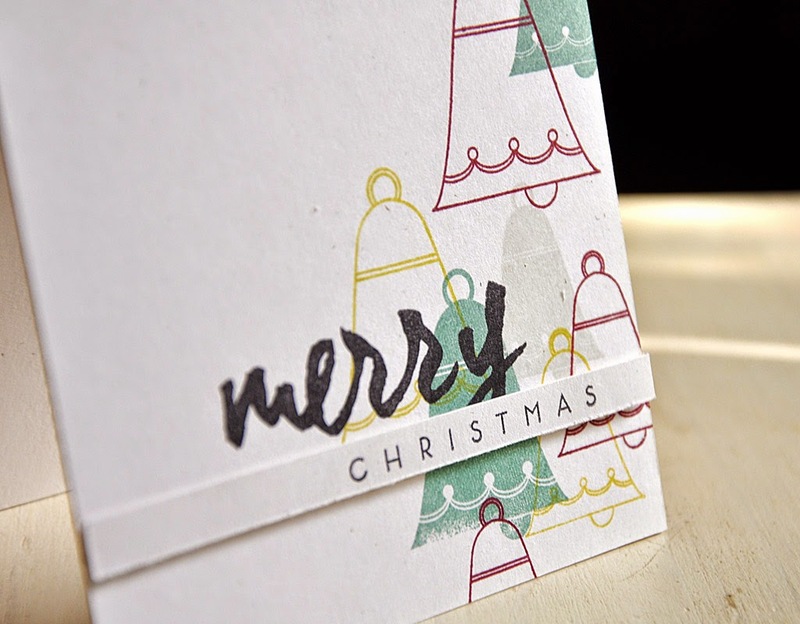 This next card lets the gorgeous handwritten font take center stage. 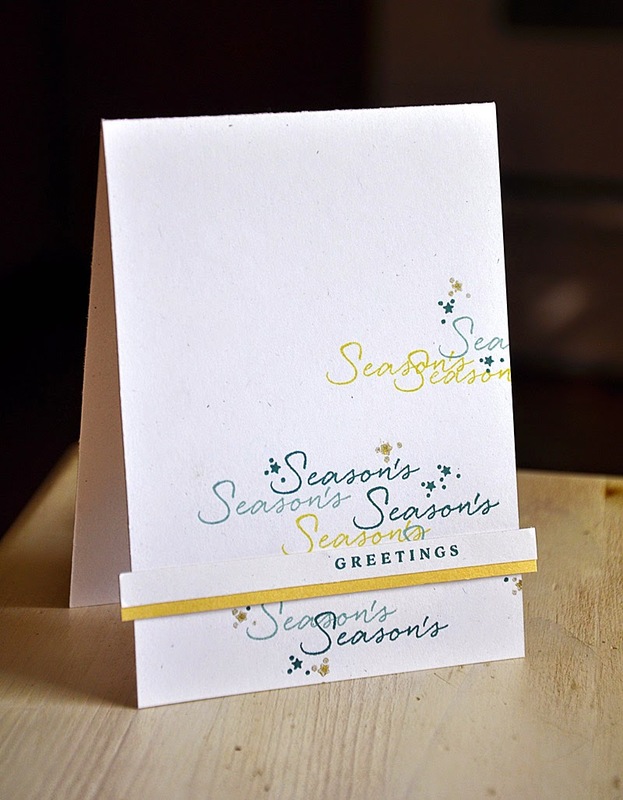 I randomly stamped the "Season's" portion of the sentiment in the colors of pinefeather, ocean tides and limeade ice. Honestly, any pretty looking sentiment could be used in the same fashion. 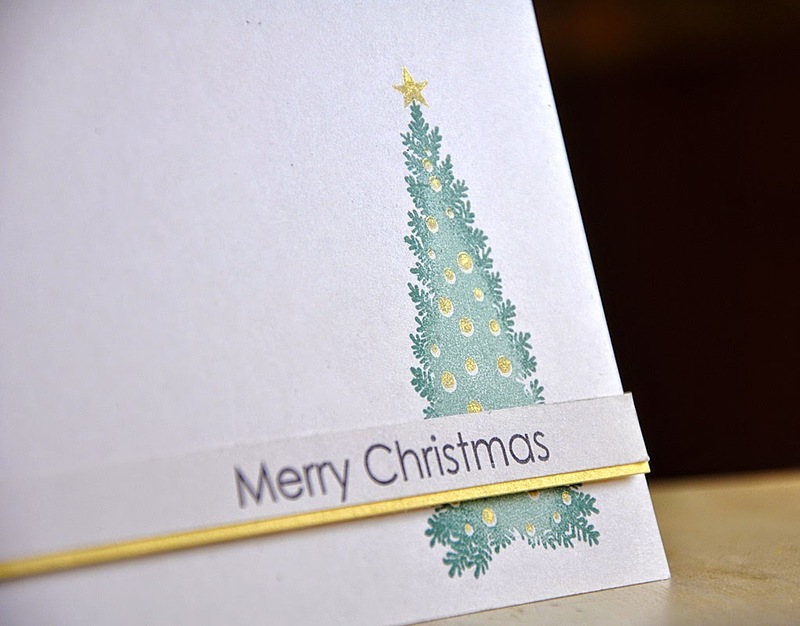 A few stamped stars and a gold strip finish this card off perfectly. 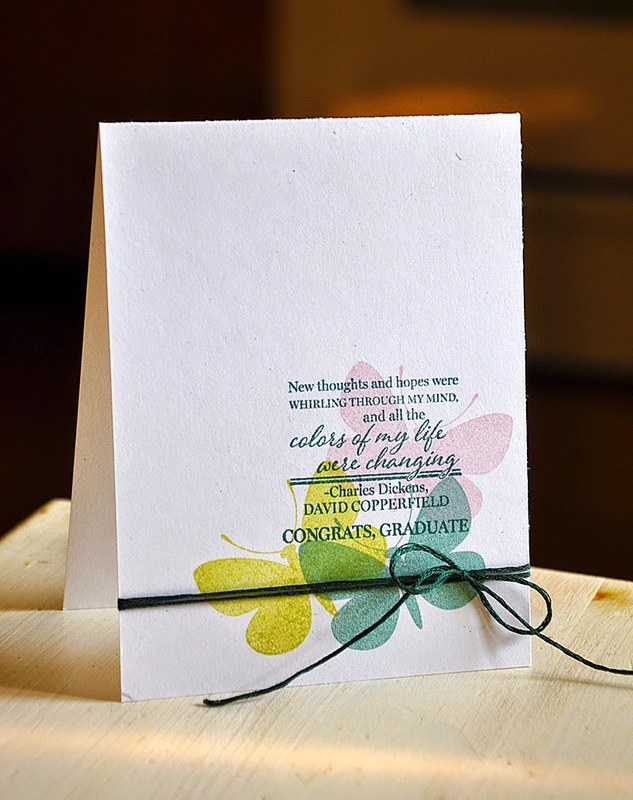 A fun angled edgy look helps to modernize the look of this color combo and card. I inked up this tree using the same technique as on the top card, giving this tree a two toned look. Finished it off nicely with a touch of gold inked stars. 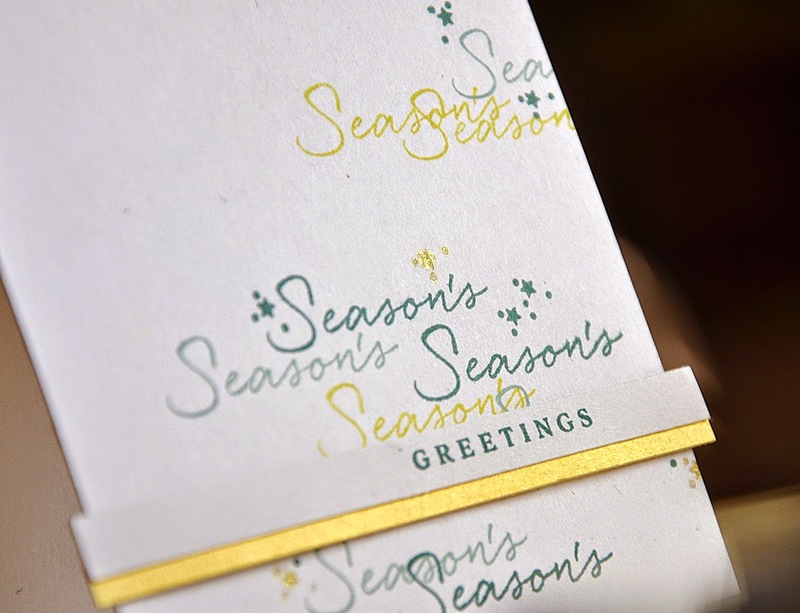 The sentiment is from the soon to be released Season's Greetings. Well, that concludes today's look at O'Tannenbaum. 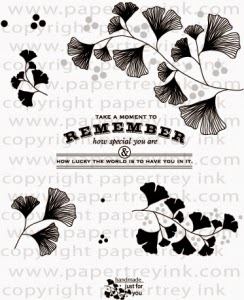 Just remember... this set will be available for purchase through Papertrey Ink, beginning September 15th.